Posteriza for Windows 10 used when printing huge advertising banners, announcements, individual posters and pictures. The user can use his photos, select the required formats, add and edit the desired text in the image. Posters of all sizes are printed on conventional devices using automatic fitting of images to size. Manual control is required when specifying the number of pages, selecting additional templates, setting up objects or individual elements. 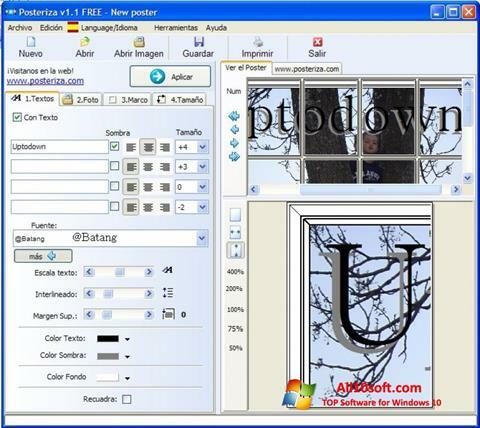 You can free download Posteriza official latest version for Windows 10 in English.